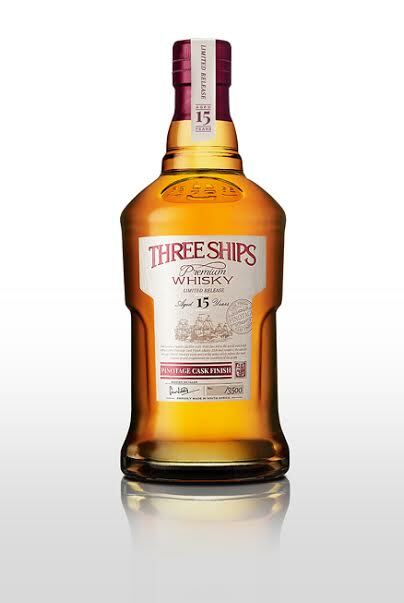 Three Ships Pinotage Cask Finish Whisky. Local distiller Three Ships Whisky has launched the world’s first whisky finished in a cask previously used for the maturation of. With only 3500 bottles of the 4000 bottles available for purchase by the public, the Three Ships 15 Year Old Pinotage Cask Finish is the oldest whiskymade in South African to date. The grain and malt components of the whisky were first matured separately in American casks before being finished for different periods in eight casks previously used for Pinotage. Consumers will have the chance to purchase one of the first 500 bottles on 5 October during a live, online sale by visiting www.themasterscollection.co.za starting at 12h00. The remainder of the whisky will be available from 8 October, World Pinotage Day, until stocks last from selected retailers, www.vinoteque.co.za, at The James Sedgwick Distillery and from Big Five Duty Free stores. The whisky will retail for R1 500 per bottle.